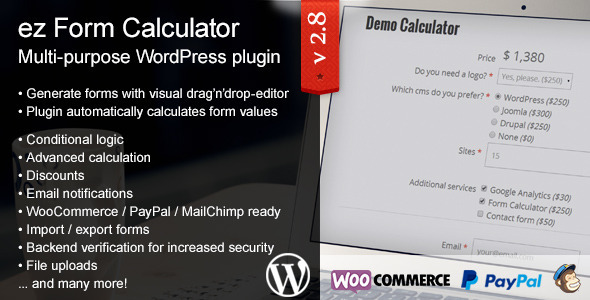 Developing your WordPress plugins since 2010. 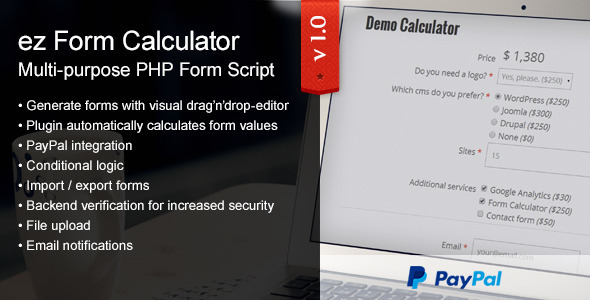 PHP standalone version of ez Form Calculator. 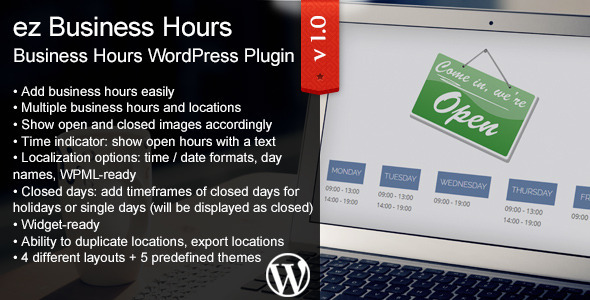 Add business hours to your website easily with ez Business Hours. With 5 predefined styles and a lot of customization and translation options, you can fully customize the plugin to your needs. 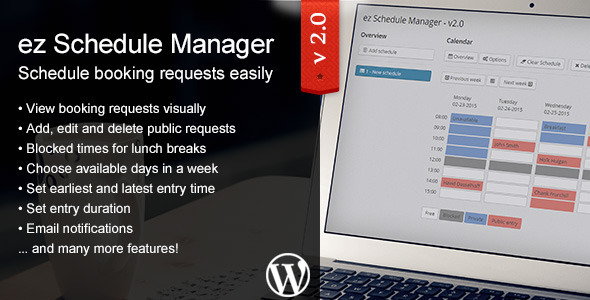 ez Schedule Manager is a WordPress plugin which allows you to manage incoming schedule requests. In case you offer contact requests or simple booking on specific dates or times, this is the right plugin for you. Guests are able to view your public schedules where they can choose their own time for requests. Admins have an overview of their schedules with all public requests in a week.